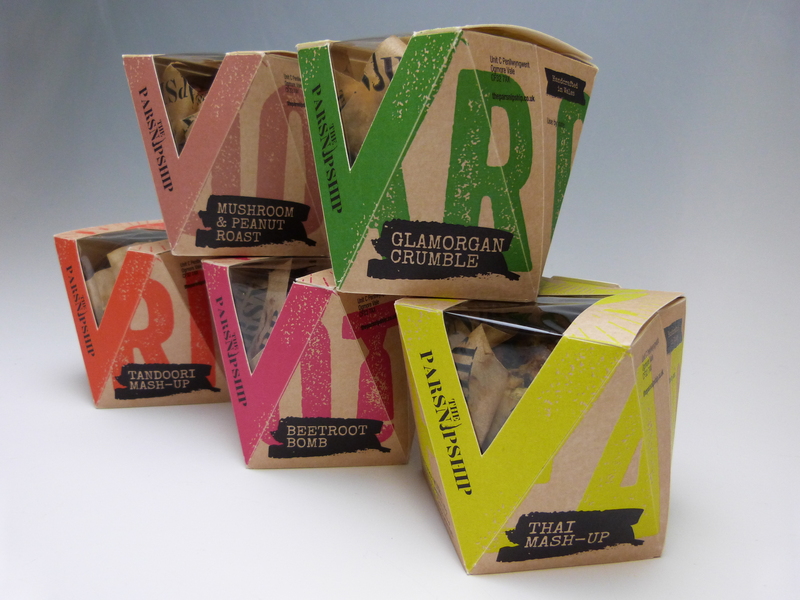 Second Year Cardiff School of Art & Design students have developed and designed sustainable packaging for successful Welsh food brand The Parsnipship, which forms part of their coursework and will be seen soon on retailer shelves. 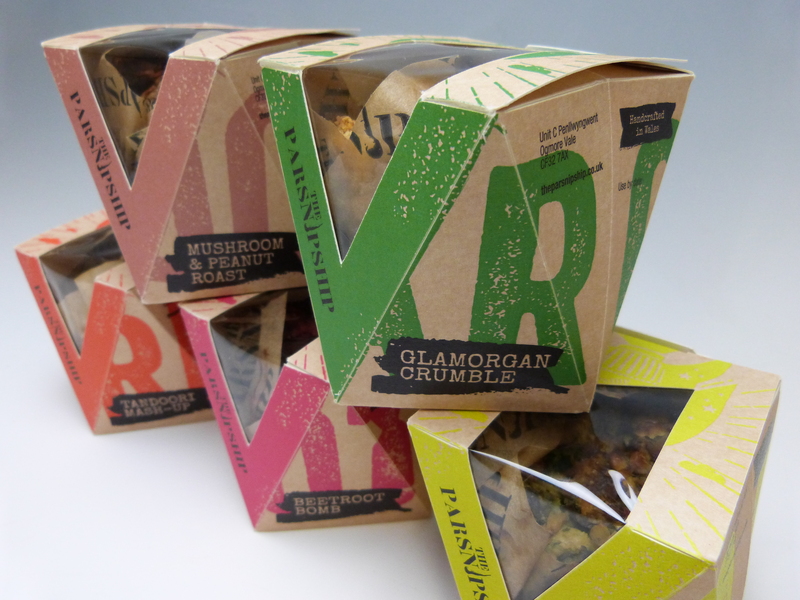 The live design brief from the Bridgend-based vegetarian and vegan food manufacturer specified that the product packaging should incorporate sustainable and recyclable materials to align with the company’s eco-friendly ethos. 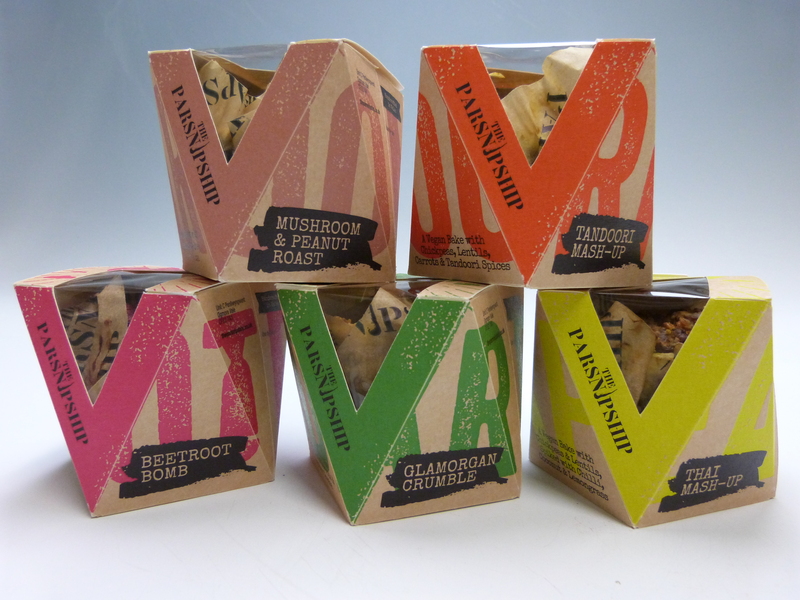 The Parsnipship has won Great Taste awards for their Glamorgan Crumble and Tandoori Mash-Up and regularly calls on the University’s ZERO2FIVE Food Industry Centre for support, including employing a sales and marketing affiliate through the EU-funded Project HELIX. On this occasion, ZERO2FIVE referred The Parsnipship to Cardiff School of Art & Design for assistance. Twelve teams of students worked on the six-week project, which included investigating the current packaging market, selecting appropriate sustainable materials and developing a range of suitable concepts. As part of their research, the students used the University’s high tech Perceptual Experience Laboratory to visualise how their designs would look in a retail environment and then professionally pitched their final costed designs to the company. Neave Thorne, India Wynn, Mariam Hesham Aly Abdellatif and Jordan Hewlett were on the winning team and were selected for their quirky design which reflected The Parsnipship brand. The winning design included a window enabling potential purchasers to see the product inside, considered the sustainability of the materials used and suggested local packaging suppliers. 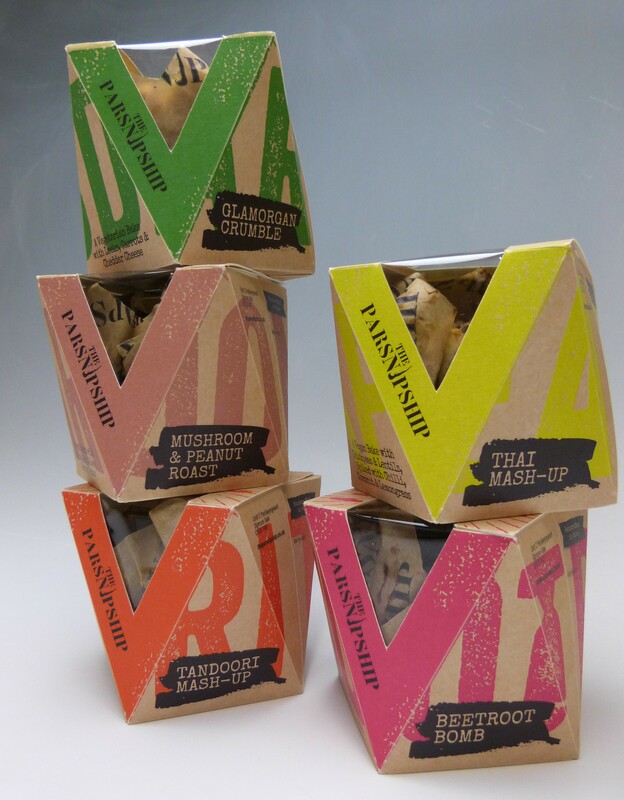 The Parsnipship team has incorporated a number of elements from the winning design into their new packaging which they launched at last week’s Taste Wales event, the Welsh Government’s international food and drink trade showcase. Next Next post: Myfyrwyr Animeiddio YGDC yn Cael Cyfle i Weithio ar Gynhyrchiad Teledu I S4C.